Few things are as important to your body as water! Every cell and organ requires water to function properly! There is evidence that suggests proper hydration even reduces the risk of certain types of cancer by as much as 50%, including colon, bladder, and breast. Though it’s healthy for COPD patients to go out and enjoy the sunshine, staying hydrated is especially important. We have already mentioned that your body is up to 70% water but the heart is composed of 73% Water and the lungs are about 83% water. 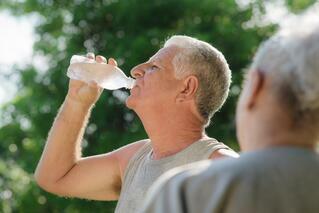 Therefore, dehydration and heat exhaustion is dangerous for everyone, especially those with COPD. Remember, if you’re feeling thirsty, you’re already dehydrated! Only administer to people over 12 and measure ingredients precisely, as even small variations can be harmful. Studies have shown that chronic dehydration contributes greatly to breathing problems including asthma, allergies, and bronchitis. Dehydration can also trigger COPD exacerbations and overtime can accelerate the progression of the disease. Water keeps nasal passages, bronchial tubes, and lung tissue moist. When you exhale moisture is expelled, and dry air is introduced as you inhale. If your body is properly hydrated the moisture is rapidly replaced. If you are dehydrated, airways become dry and inflamed. To compensate for this, the body creates mucus which blocks airways, making it difficult to breathe and triggering an exacerbation. However, drinking water thins mucus making it much easier to clear. Oxygen patients often suffer from dry, irritated nasal passages. Adequate water intake can help prevent this, alleviating discomfort. For many, allergies are a COPD exacerbation or asthma trigger. As you probably know, histamines are the culprit for allergic reactions. While your body is dehydrated white cells convert amino acids into histamine. This triggers an allergic reaction. Asthmatics are known to have excess amounts of histamines in their lung tissue which constricts breathing. This also causes a mucus buildup which is an exacerbation risk for those battling COPD. Once your cells are rehydrated they decrease histamine production and the adrenaline producing nerve systems are stimulated, lessening the trigger risk. Do You Have Breathing Issues After Eating? 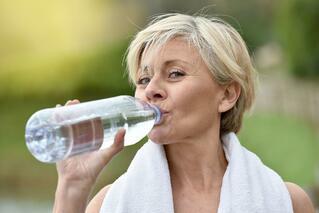 Dehydration could be the cause for asthma attacks or COPD exacerbation following eating. Water is key to the digestive process. It helps break down food and if water isn’t available, it is taken from vital organs. 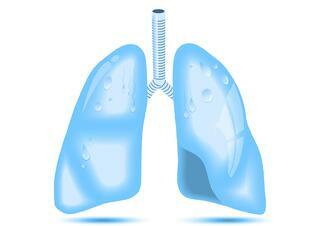 We’ve already learned that lungs are 83% water so they are one of the first organs robbed of moisture. This sudden loss of water can cause spasms, triggering respiratory reactions. To avoid problems the answer is simple, drink plenty of water! 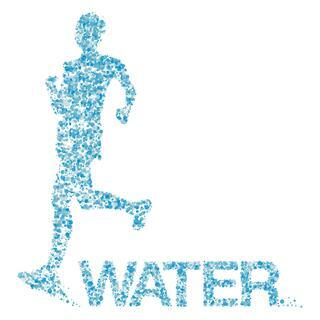 For normal activity levels, water should be sufficient to keep you hydrated. 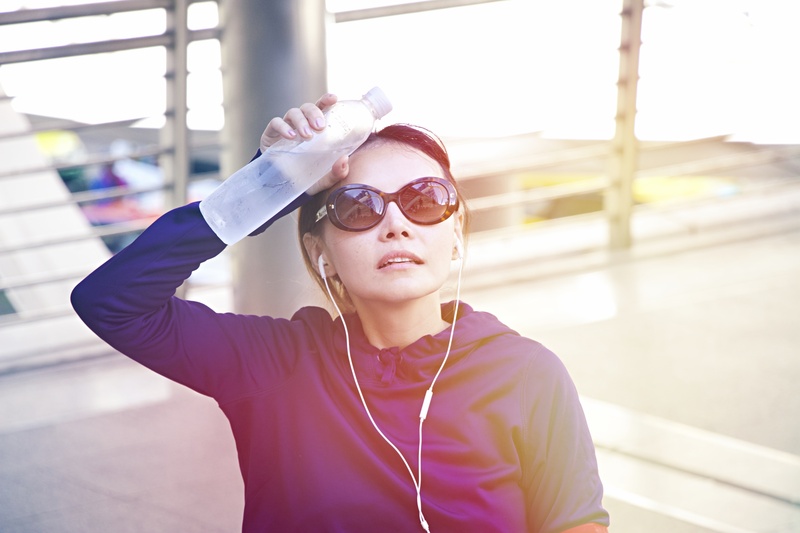 If you are especially active or the weather is exceptionally hot, you may want to consider a sports drink that also replaces chemicals that are lost as you sweat. The hydration index refers to how much moisture your body retains after drinking, rather than excreting it as waste. Some drinks that rated high on the index are whole milk, 2%milk, Pedialyte, and orange juice. They were all ranked around 1.5, whereas water was ranked at 1.1. When you drink water the body sends what it needs at the moment to the vital organs and sends the rest to the kidneys for elimination. As that water is used, you will be required to drink more to stay hydrated. Milk on the other hand, is nutrient rich so your body maintains more of it using the nutrients, as well as the liquid. Ice tea sounds so good on a hot day! A glass now and again won’t hurt because tea also contains a high concentration of water. Keep in mind though that caffeine is a diuretic so if you’re feeling dehydrated you’re better off sticking with water. Alcohol causes cells to constrict, squeezing the moisture out of them and sending it to the kidneys to be excreted as urine. Drinking beer or wine on a hot day may sound refreshing but it’s likely to dehydrate you rather quickly bringing on fatigue and possibly a headache. Diets that are high in protein require increased fluid intake. Protein creates excess nitrogen within the body. In turn, more fluid is needed to flush the nitrogen out. If you increase your protein intake to build muscle mass or in favor of a low carb diet, just be sure to drink plenty of water as well. Enjoy your summer and keep checking back for new and informative content that is helpful for COPD patients and other Oxygen Users!